Box 18mm x 22mm x 6mm. 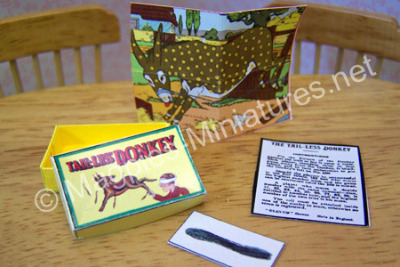 Donkey card 39mm x 30mm. Includes tail and rule sheet.